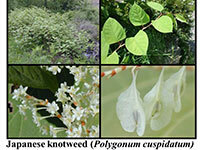 It is illegal in New Hampshire to collect, transport, sell, distribute, propagate or transplant any living or viable portion of any listed prohibited invasive plant species including all of their cultivars, varieties, and specified hybrids. 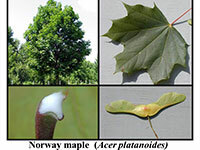 Many of the invasive pests that are introduced as a result of escaping from a managed environment occur among landscape plants. Initially planted in yards because of their attractive appearance and low-maintenance, these plants can quickly overrun and dominate natural environments, where they out compete native plants. 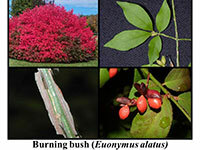 This is why some formerly popular landscaping plants (purple loosestrife, burning bush, Norway maple) are on the list of prohibited invasive plants in New Hampshire. Any questions regarding this information may be directed to Doug Cygan at (603) 271-3488 or email douglas.cygan@agr.nh.gov.